The Nor1 Merchandising Platform Product Suite is designed to deliver intelligent, personalized, compelling offers to the right guest at the right time and at the right price and includes eStandby UpgradeÂ®, eXpress UpgradeÂ™, CheckIn MerchandisingÂ™, and eReachÂ™, all powered by Nor1â€²s patented, dynamic decisions intelligence engine PRiMEÂ®. SLS Las Vegas Hotel & Casino has signed an agreement to begin utilizing the entire Nor1 Merchandising Platform Product Suite to actively engage their guests throughout their journeys. The Nor1 Merchandising Platform Product Suite is designed to deliver intelligent, personalized, compelling offers to the right guest at the right time and at the right price and includes eStandby Upgrade®, eXpress Upgrade™, CheckIn Merchandising™, and eReach™, all powered by Nor1′s patented, dynamic decisions intelligence engine PRiME®. 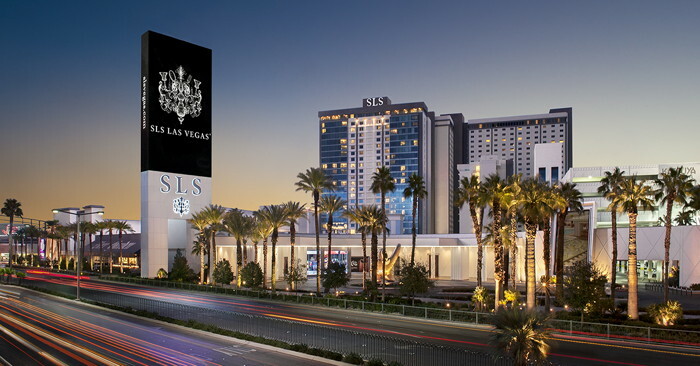 SLS Las Vegas® is an all-encompassing resort and casino with 1,615 guest rooms and suites in three distinctive towers, over 95,000 square feet of flexible meeting space and a collection of acclaimed restaurants, bars and entertainment venues. The inviting casino occupies 60,000 square feet and features approximately 600 of the latest slot and video poker machines complemented by more than 50 classic table games. An impressive selection of culinary and cocktail offerings include Bazaar Meat by José Andrés™, named "Best Restaurant in Nevada" by Business Insider; Katsuya; Cleo®; Umami Burger, Beer Garden & Sports Book; 800 Degrees Neapolitan Pizzeria; Northside Café & Chinese Kitchen; The Sayers Club®; and The Perq™. The resort is also home to The Foundry, an intimate, live entertainment venue. Additionally, SLS houses a sports book operated by global gaming leader, William Hill. For more information about SLS, please visit slslasvegas.com and stay connected on Facebook, Twitter and Instagram.